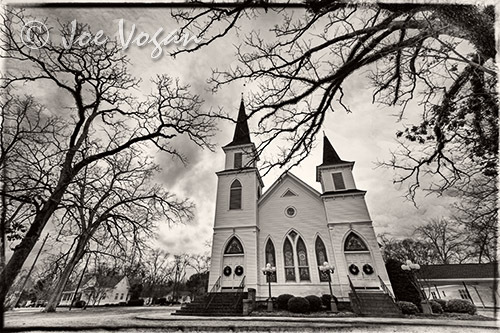 Driving north from Florida, I stopped at Young’s Chapel near Fitzgerald. 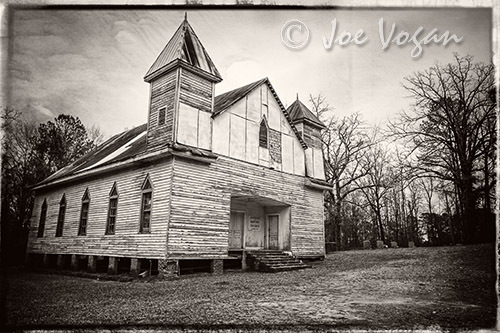 This church hasn’t been used in many years and is on a dirt road surrounded by pastureland and cotton fields. Further west was Plains, made famous when Jimmy Carter ran for president nearly 40 years ago. The Baptist church is one of the more prominent buildings in a very small town. But my main focus was east of Atlanta where there is a large concentration of small churches, mostly Protestant, scattered in the counties straddling I-20. The challenge here was the time limitation of a single day to find as many of the churches as possible. I managed to visit nearly a dozen locations before steady rain started in the middle of the afternoon further restricting the photography. All of the churches were vacant, and some were unlocked, giving the chance to take a quick look inside. 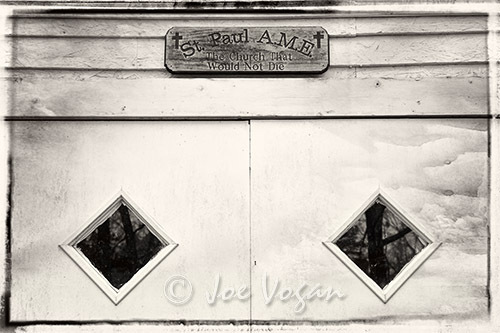 Several were without pews or pulpits and some were just poor, with drafty windows, shaky foundations or leaking roofs. 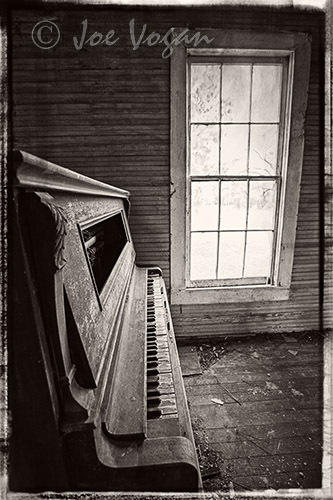 I ended the trip with a mental note to return to the area when I could devote more time to searching out these old places before they disappear. 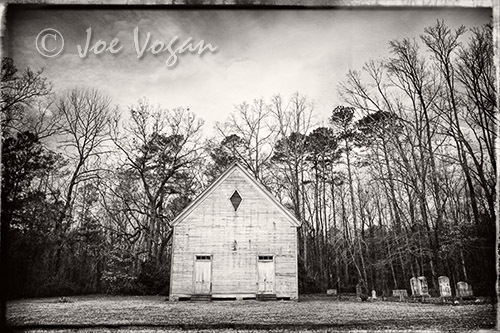 This entry was posted in U.S. Travel and tagged building, Christian, church, country, Georgia, historic, old, photography, ruin, rural, small by Joe Vogan. Bookmark the permalink.